Happy Easter Eve everyone! I hope the Easter Bunny comes and brings you lots of chocolate tonight. I am definitely hoping he stops by and leaves some chocolate for me. Seems today is the last day of March, it is time for me to do my monthly favourites. It's definitely been a really big month for me as I have been back to daily blogging again. Woohoo! I quite like daily blogging, it's quite fun...once you take out the amount of pictures to edit. I really don't like editing photos. Doing the manis and writing blog posts is definitely more up my alley. 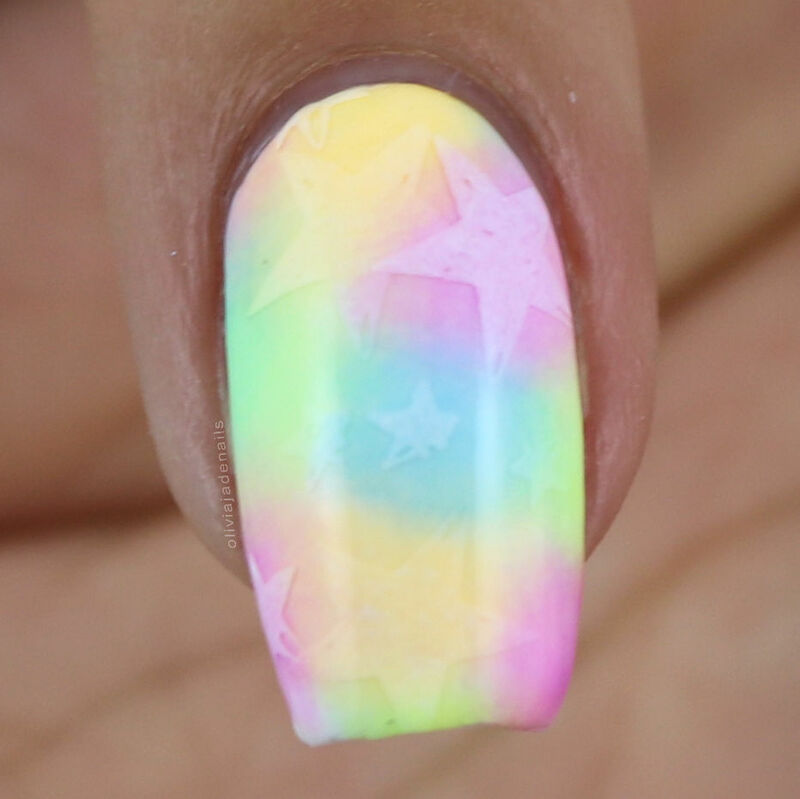 There has been quite a few nail art manis that I have loved this month. Probably my most favourite of favourites manis (and you can guarantee that these will be in my end of year favourites) are the black and white flowers and the lead lighting version as well. I absolutely love both of those manis. I have played with a bunch of new stamping plates this month and I still have a bunch of plates waiting for me to play with so keep an eye out for those next month. But let's focus on the plates I have tried and loved! 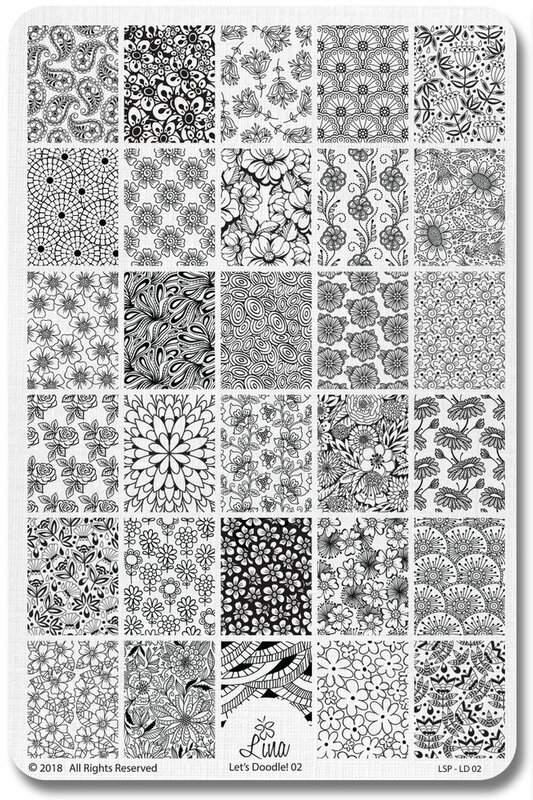 Another month, another Lina stamping plate in my favourites post. Lina really does do some awesome plates and the Let's Doodle range is among some of my all time favourite plates of theirs. This way the first plate from Marianne Nails that I tried and I instantly fell in love. The quality is amazing and the images stamp perfectly! Plus they are fantastic images. Another plate that I love from Marianne Nails. Again this plate has some awesome images and they quality is amazing. The images pick up and transfer perfectly. I did try a couple of new Uberchic plates this month, and while I do really like the Welcome Spring stamping plate, I am not adding it to my favourites based on the fact that I won't reach for it all the time. It's mainly one I would use around Easter. Collection Twenty Four on the other hand I can see myself reaching for time and time again. I definitely raved about these when I first got them and I'll continue to do so. They are just such stunning colours and stamp well. I have had a busy month swatching for two of my favourite indie brands - Emily de Molly and Grace-full Nail Polish. Both brands have had some amazing polishes released this month, as well as polishes that I only got around to swatching this month. These are polishes that were sitting in my swatch racks for way too long. 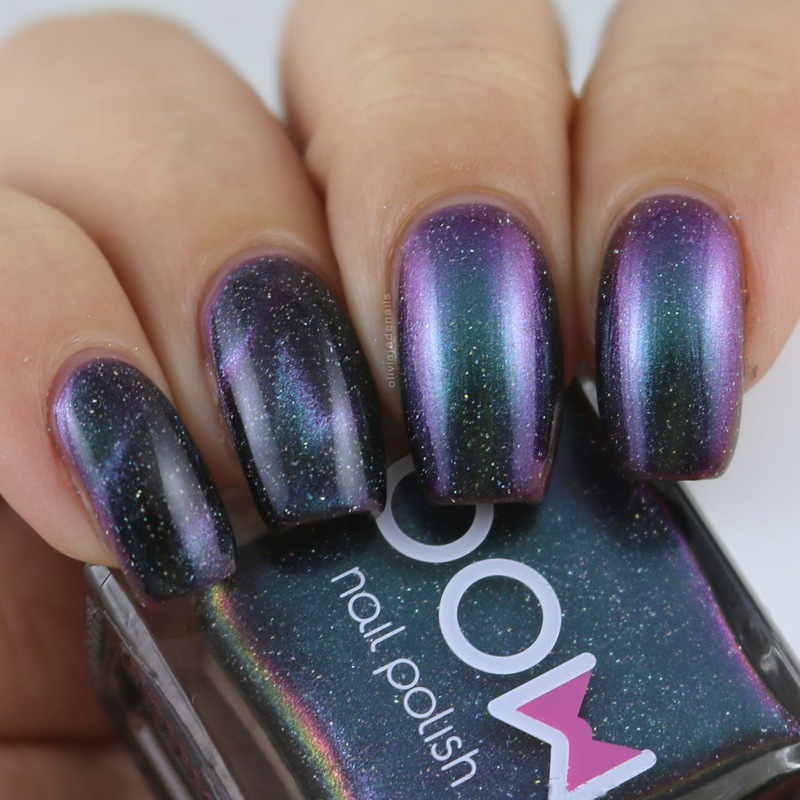 They are also the types of polishes that really make me question why they are only released as a limited edition polish rather than as a regular release. I know Hayley has her reasons but these babies are just so stunning! Polishes (in no particular order) are LE79, LE80, LE81, LE83, LE85, LE87, LE88 and LE89. Did I mention that I love March's releases? There are some amazing polishes in the mix. My personal picks for this month were Prismatic Mode, Idle Sails, Charismatic Puzzle, Sharp Turn, Dappled Lilac and Peacock's Charm. Starry Eyes is the latest exclusive for the Femme Fatale Cosmetics store. As soon as I saw it I knew I had to have it and it did not disappoint. There are a few of things that I love about this collection. One - the formulas are amazing (Grace-full do make some of the best creme polishes), two - the colours are stunning and three - how this collection come about. Such a great idea to have the Facebook group select the colours and names. The Illusions Collection is the first collection from Grace-full for 2018 and what a way to kick it off. Such a stunning collection. My personal favourites are Henly, 4H, Shrike and Dante. This collection may come as a bit of a surprise to be in my favourites collection but again the formula on these babies is flawless. Plus the colours really took me by surprise - I really like them. Plus I think they will make excellent polishes for Autumn nail nail. 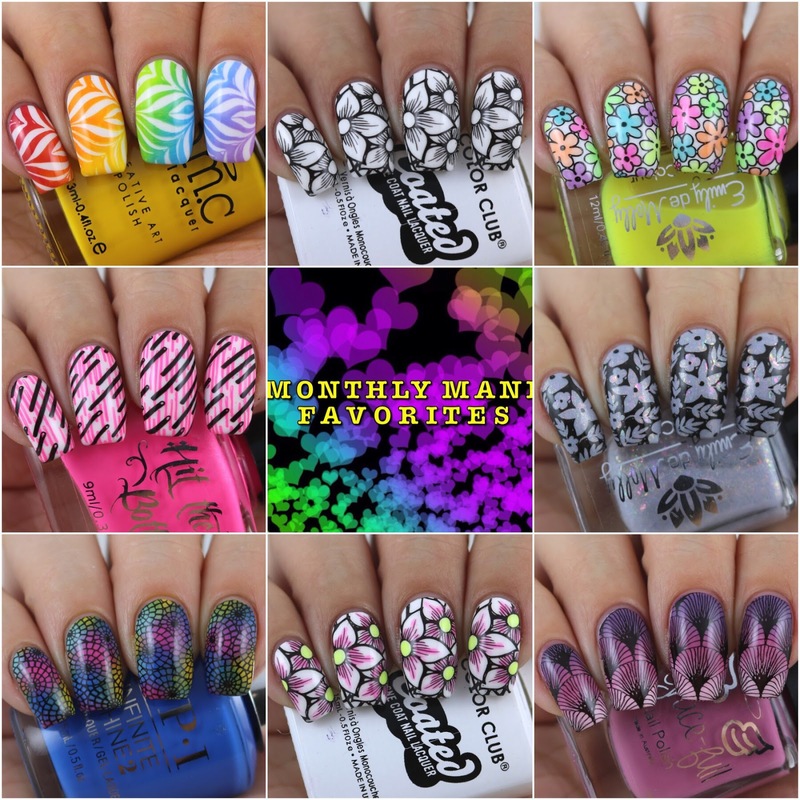 I finally have some mainstream polishes back on my blog this month. It seems like the mainstream brands have gone a little quite in the past few months. Hopefully that isn't a sign of things to come and they keep rolling out those pretties. I am such a sucker for multichrome polishes and these have some added bonuses - they have some holo glitters plus they are magnetic. 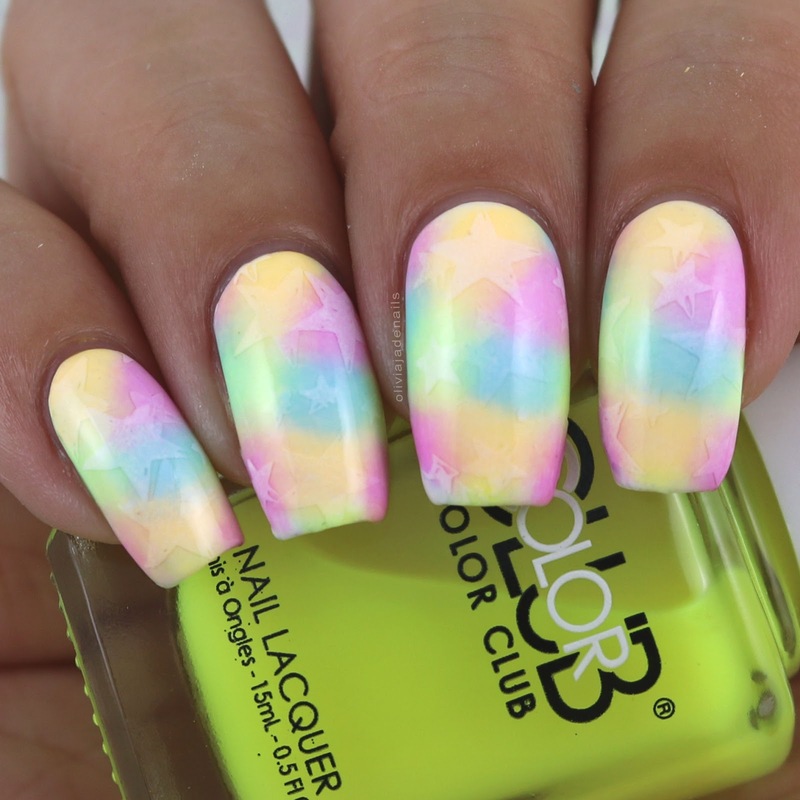 Such cool polishes! 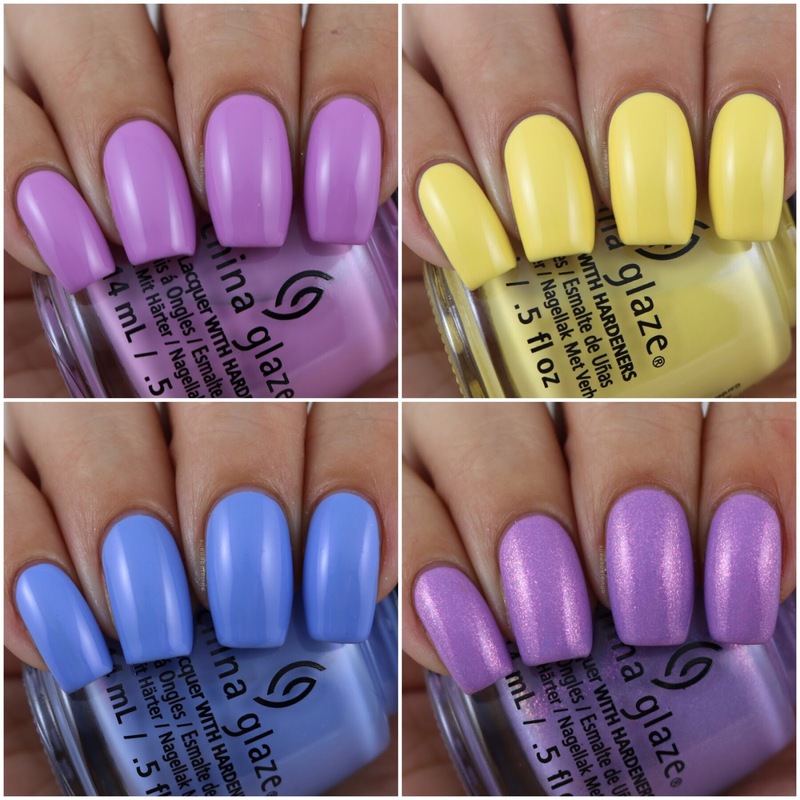 I love China Glaze Spring Collections. They are always filled with such pretty colours. The Chic Physique Collection is no exception. My personal favourites are Barre Hopping, Werk It Honey!, Glamletics and Get It Right Get It Bright. While I did really like the Lisbon Collection there were just three polishes that really stole my heart - Lisbon Wants Moor OPI, Tile Art To Warm Your Heart and No Turning Back From Pink Street. Now I think that wraps up March's favourites. Like I said it has been a big month with lots of goodies jam packed in. April looks as though it is going to be just as busy with just as many pretties being released so prepare your wallets! 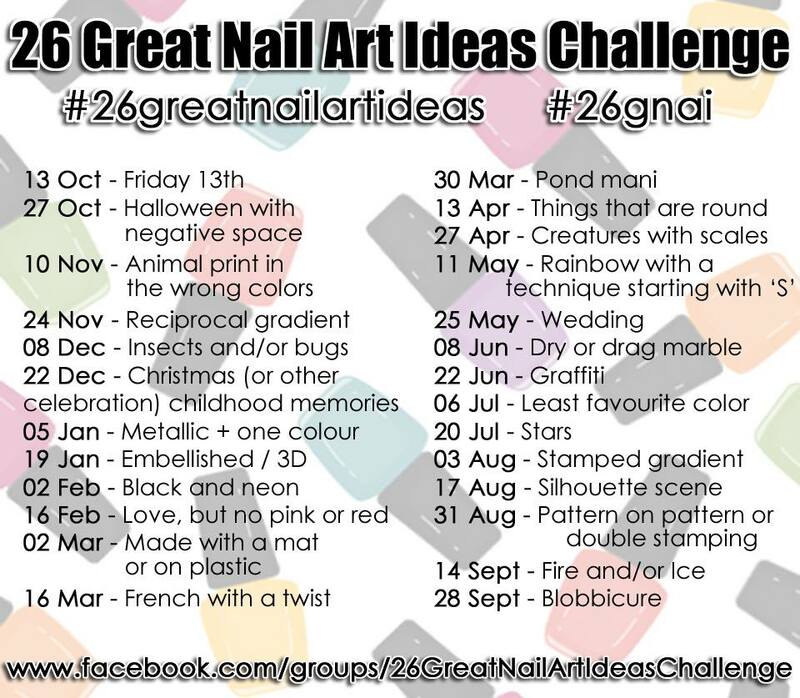 It's 26 Great Nail Art Ideas Challenge time again. Today's theme is Pond Mani. It's been quite some time since I have done a pond mani. Just to be a little different, I thought I would try something new. Instead of just doing one colour I thought I would use a bunch - similar to how I do my sponge manis. I'm not sure it works so well with the colours or maybe the stamping design. The fact that they are neon and freaked my camera doesn't help either. Polishes used are Color Club Tube Top, Darling Clementine, Hello Sunshine and Out Of The Blue, and Powder Perfect White Stamping Polish. 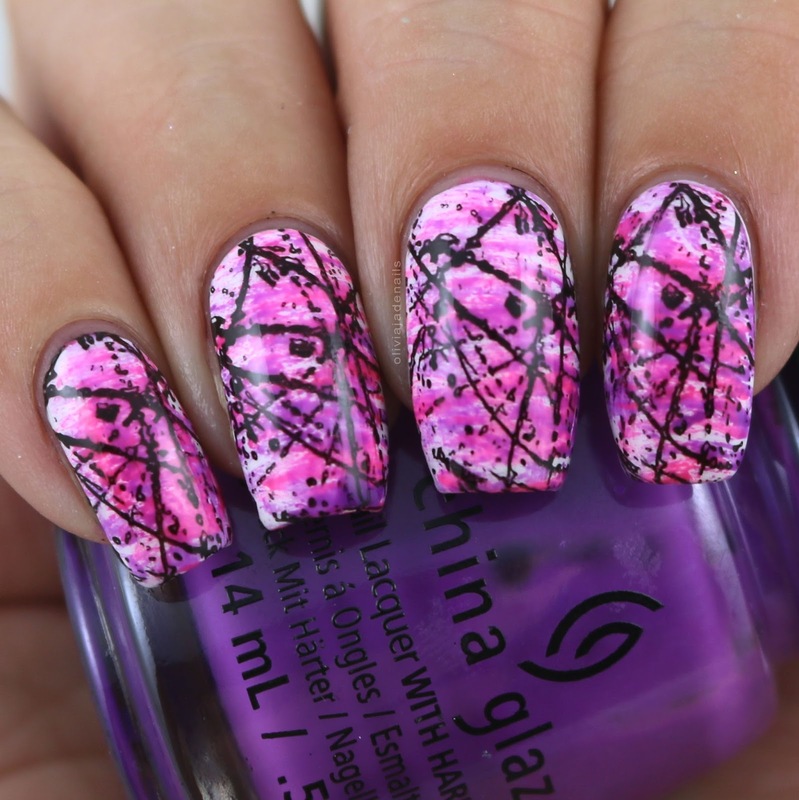 Stamping images are from Marianne Nails No.34. It just occurred to me that we are officially half way through this challenge. That seems to have popped up quickly. Anyway, make sure you check out the manis from the other challenge members if you haven't already. 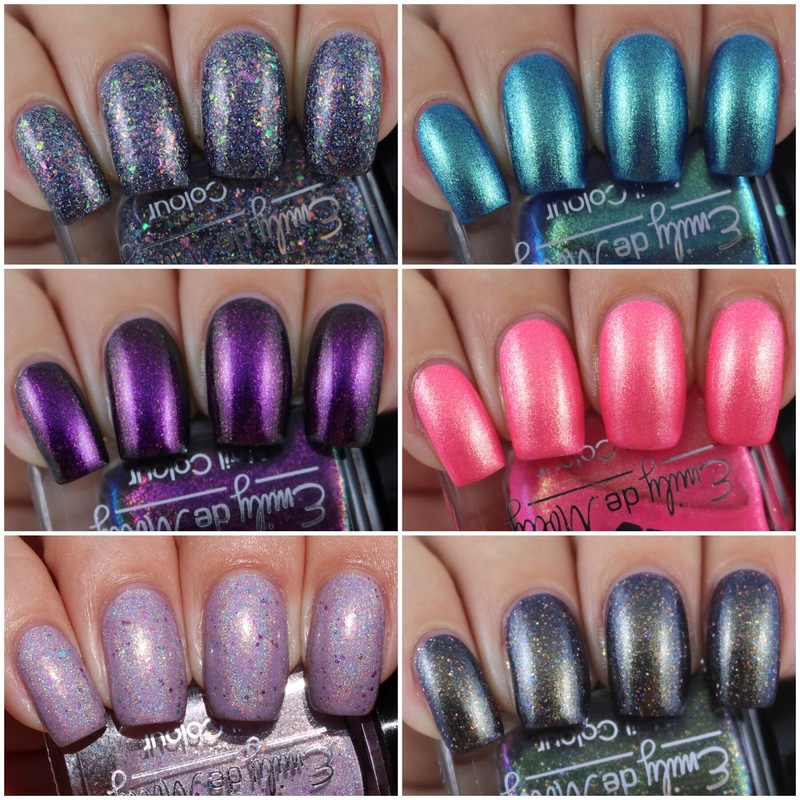 It has been a really long time I have had any Femme Fatale Cosmetics on my blog, and an even longer time since I have purchased any of their polishes. 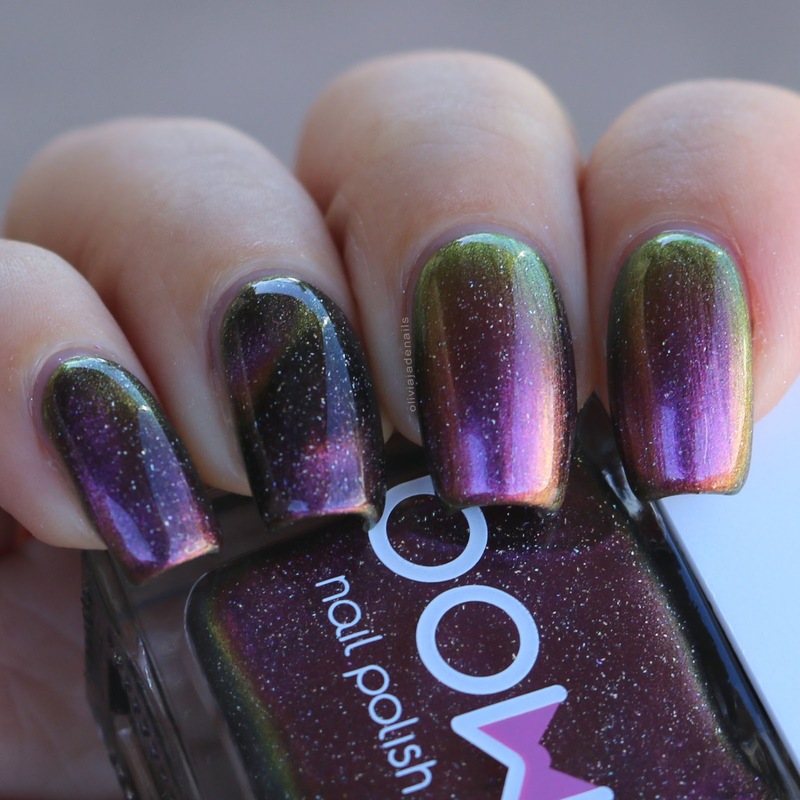 Recently, Emily de Molly made a new exclusive for the Femme Fatale store (you can see that polish here if you missed it) and I thought I should have a stroll through the store to see if there was anything else that tickled my fancy. You know because it's better for polishes to travel in a pack rather than by themselves so I grabbed Stars Of Heaven Falling. 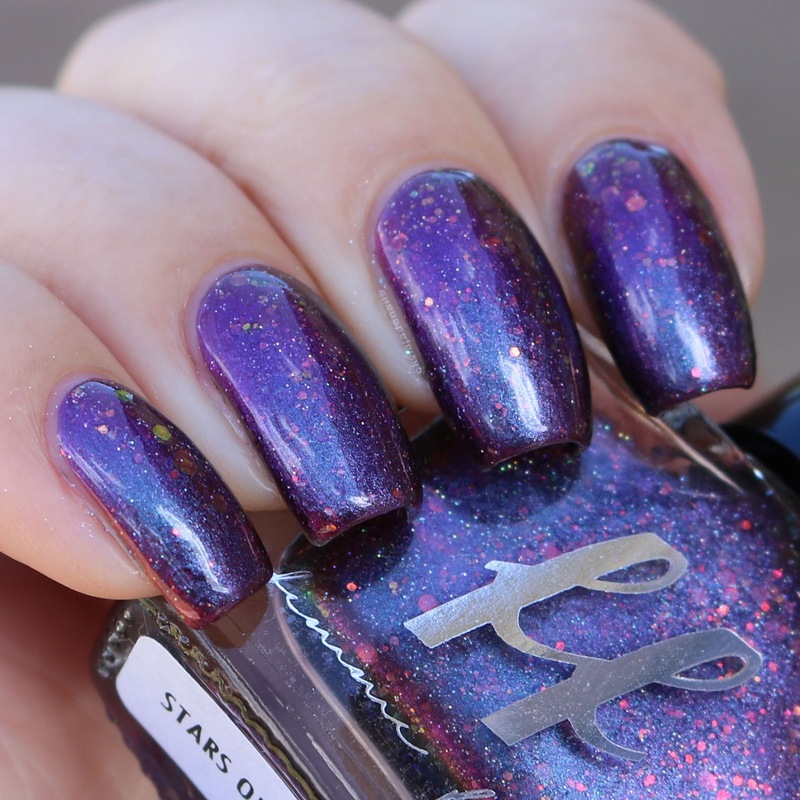 Stars Of Heaven Falling has a multichrome base of purple, pink and a hint of blue, with scattered holographic particles and red iridescent glitters. 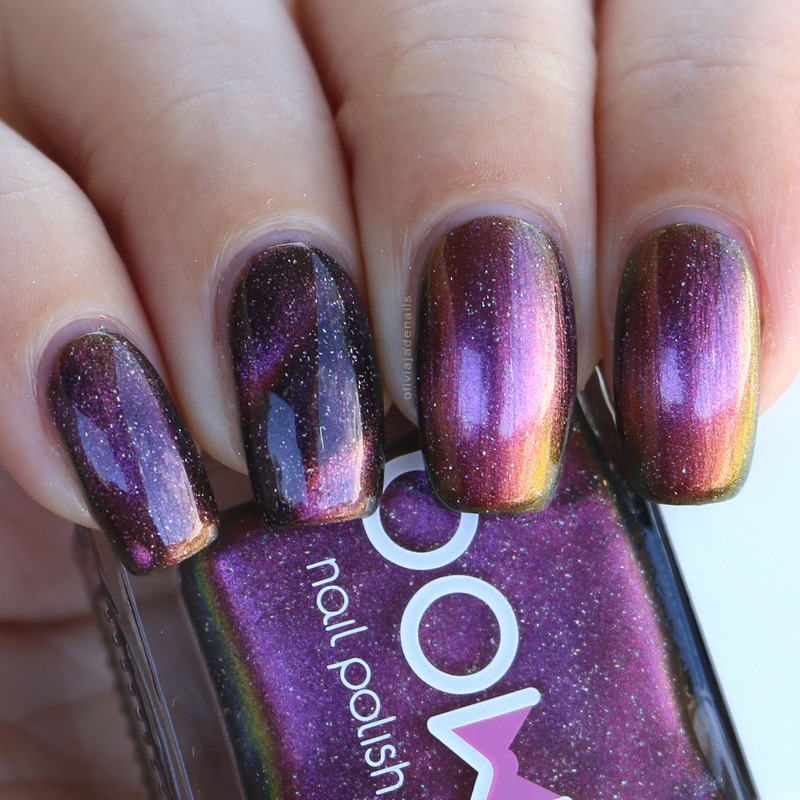 I think that this polish is really pretty, and I like how different it looks in different lights. The formula isn't the greatest though. It is on the thin side and applies streaky. I used two thick coats for my swatch, but question if it needs a third. 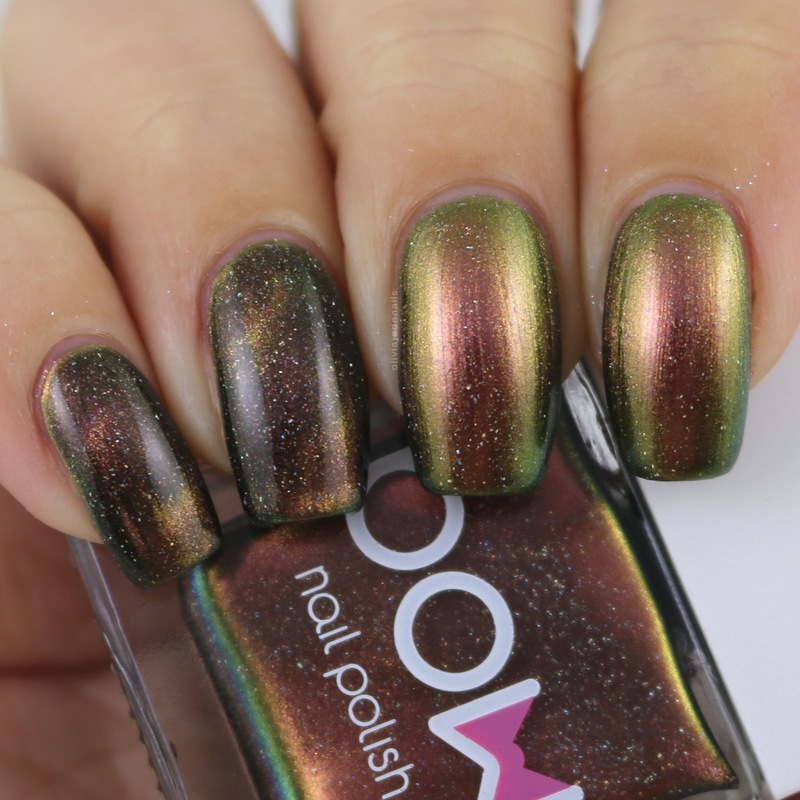 I do quite like this polish, but I do find the formula quite disappointing. Stars Of Heaven Falling is still available on the Femme Fatale Cosmetics site. Happy Wednesday everyone! I hope this week is treating you well so far. Can you believe that Easter is only a few days away now? My daughter is very excited and counting down the days. 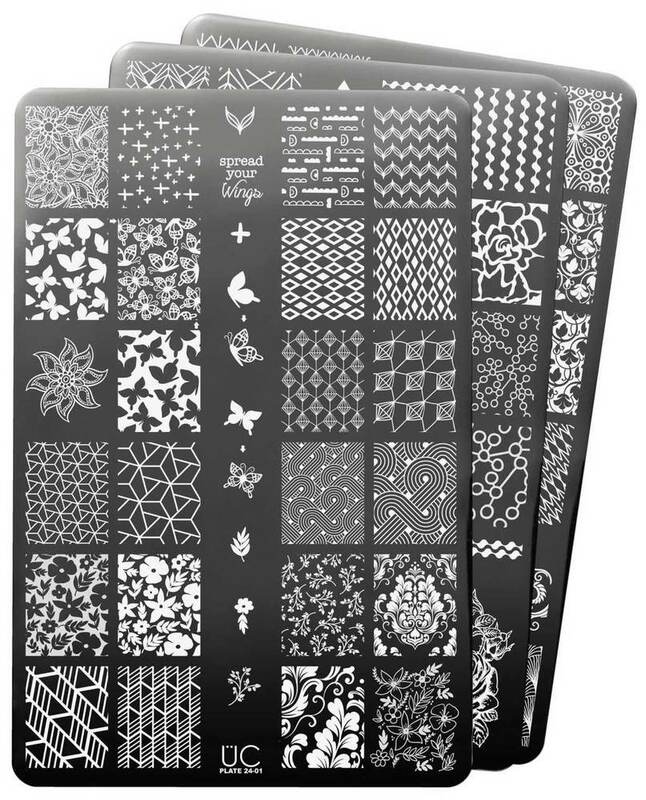 Speaking of exciting, today I have the second stamping plate from Marianne Nails to share with you. 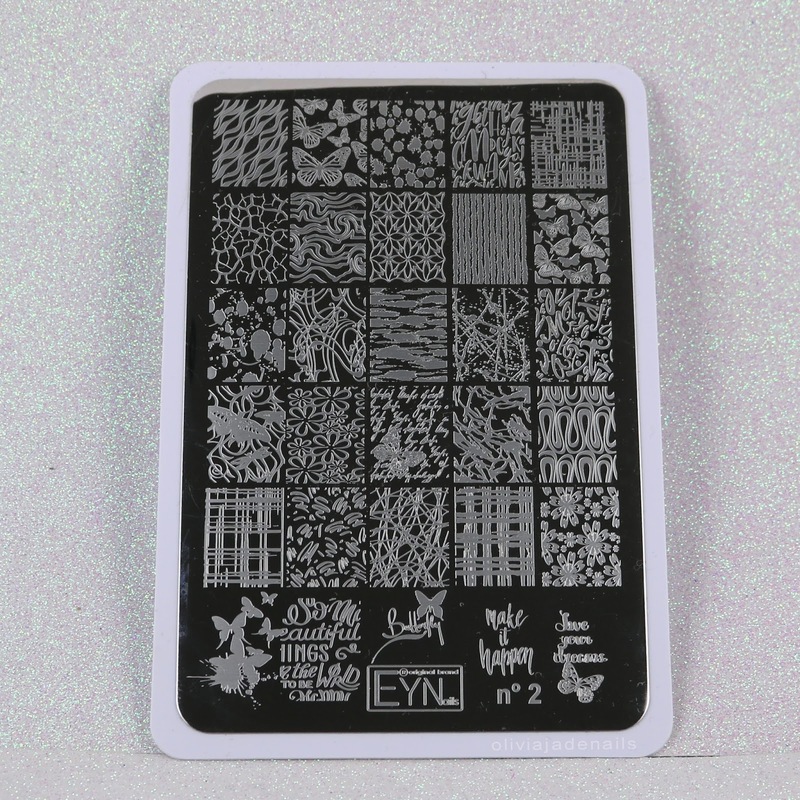 This is the EYNails No 2 stamping plate. This first mani to be honest was a complete accident. I was going for something completely different however my base didn't turn out exactly how I wanted. I wasn't going to give up on the base though and decided to stamp with a different image. I love how this turned out in the end. For my base I used Color Club French Tips and China Glaze Sun-set The Mood and Plurple. Stamping polish is Hit The Bottle As Black As Night. For this next mani I was going for a bit of a burnt paper thing. 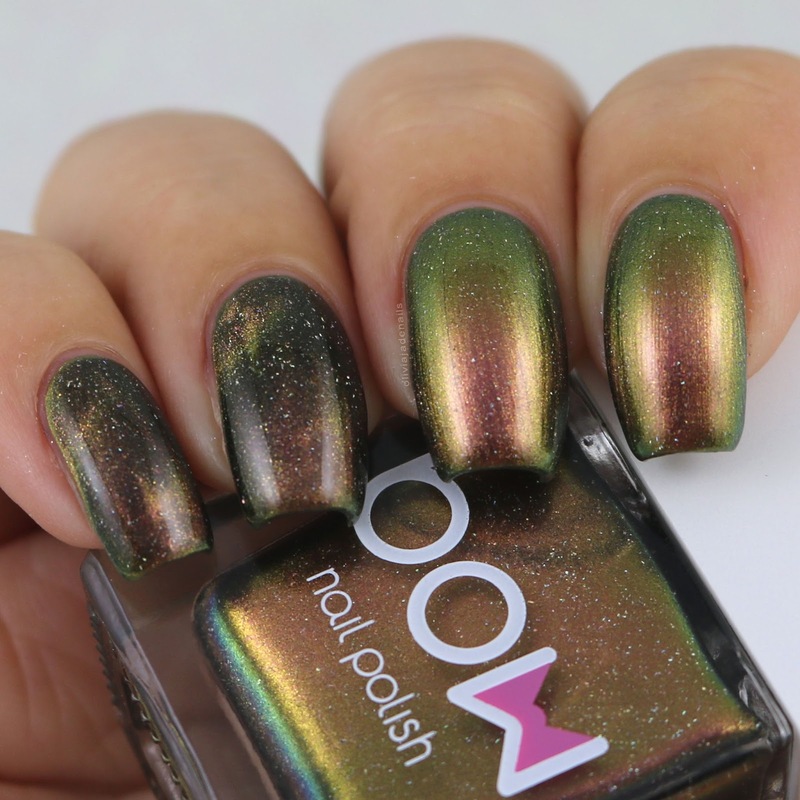 This is one of those manis that I don't think translated as well on camera, but I still quite like it. Polishes used are OPI My Vampire Is Buff, Do You Take Lei Away? and Bundle Monster Arabica. I thought that this mani could also use a mattified verison. I think I prefer the matte version. What do you think? I am a huge fan of this plate too. I think there are some fantastic images on this plate. There are a few images that I feel like I have on some of my other plates though. The images stamp perfectly and I am excited to do some more manis with this plate. 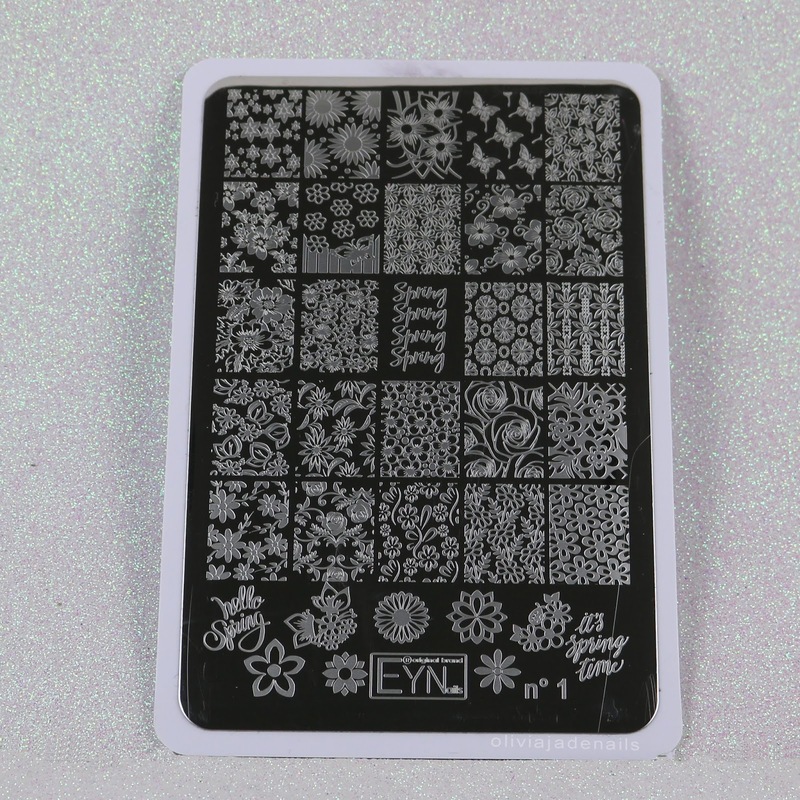 The EYNails No2 stamping plate is available now from Marianne Nails. It's funny (for me) to think how many polishes I swatch or use for nail art. It's definitely a lot! While I like to think that I mix it up and play with a bunch of different types of polishes apparently that's not so much the case. 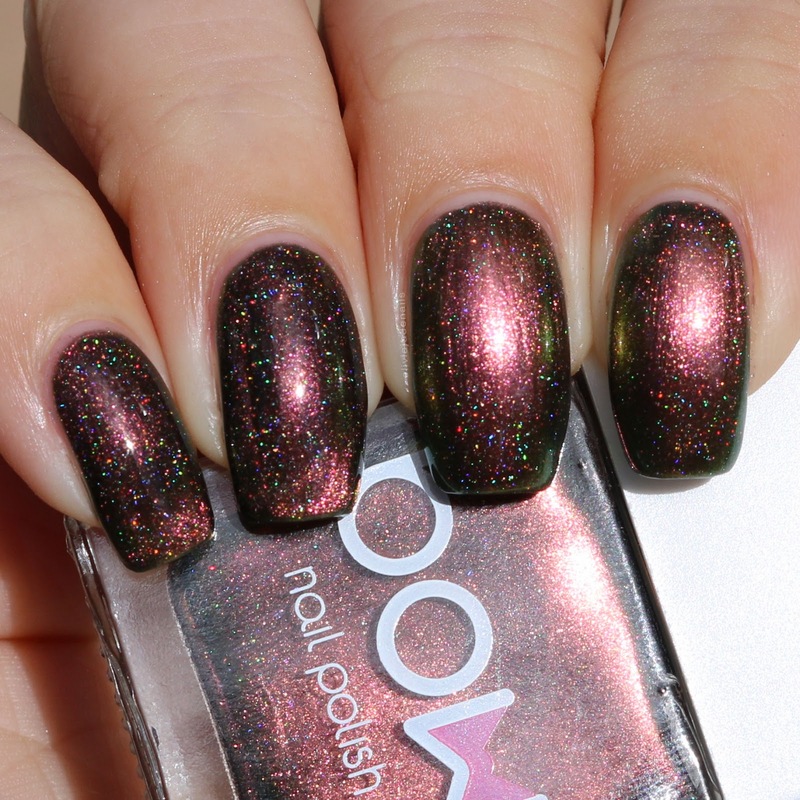 It occurred to me when I sat down and began swatching the Bow Nail Polish Magnetic Holo polishes, that it has been quite some since I have actually put on a multichrome polish. And even longer since I have played with a magnetic polish. I am going to do a quick summary of my thoughts on each of these polishes to save repeating myself. For each of these polishes I only used the magnet on my pink and ring nails so that you can see the before and after of the magnet. I found that the magnet made these polishes change quite a bit. The formulas on all of these polishes are great. They all apply evenly and are opaque in two coats. The colour shift on each polishes is fantastic too. 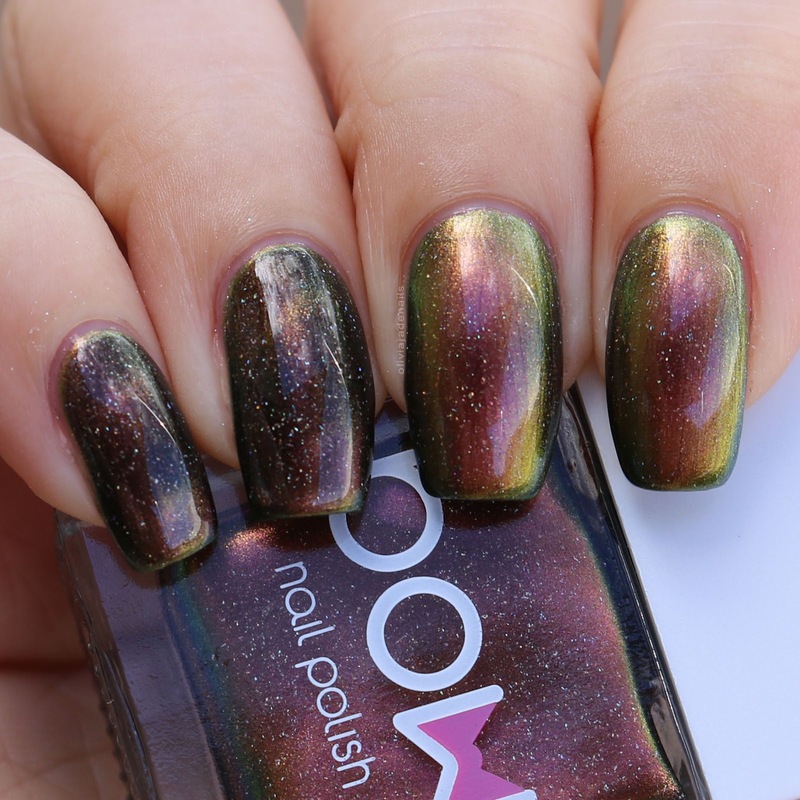 Doomsday Holo is a multichrome magnetic that shifts between raspberry pink, gold, orange and green and has added silver holographic glitters. 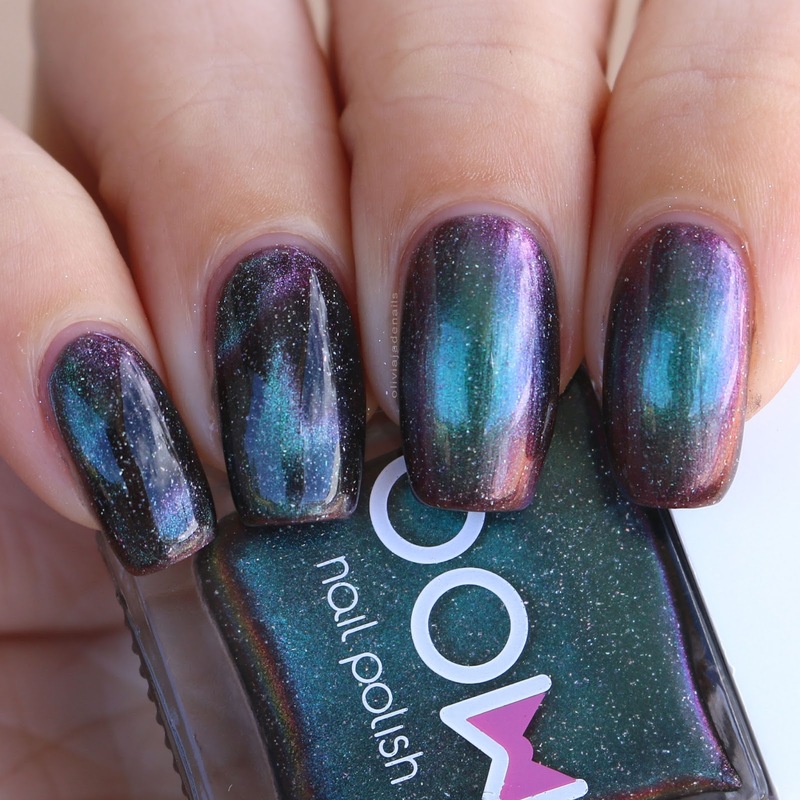 Gravity Holo is a multichrome magnetic that shifts between a green, blue, purple and magenta with added holographic glitter. 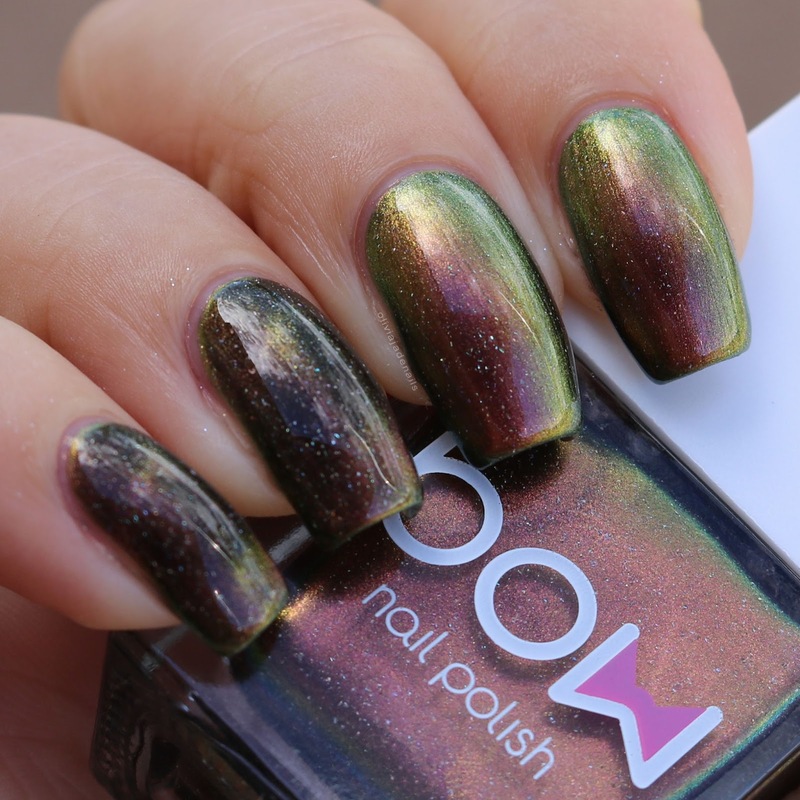 Meteorite Holo is a multichrome magnetic that shifts between red, orange, gold and olive green with added holographic glitter. I really love these polishes. I think they look great both with and without the magnetic change. 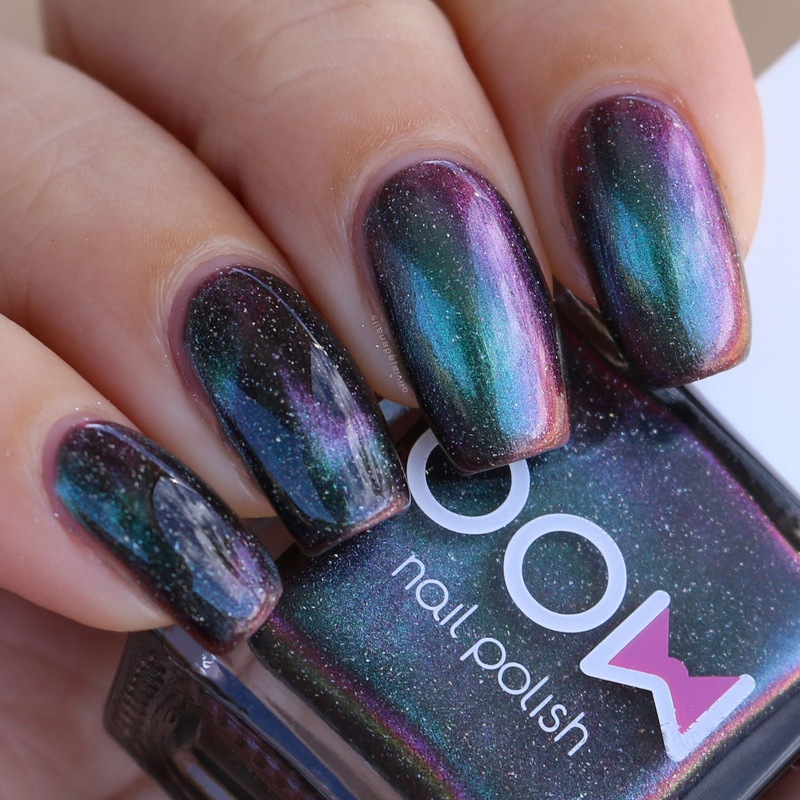 I think that these polishes would be great for some galaxy nail art. 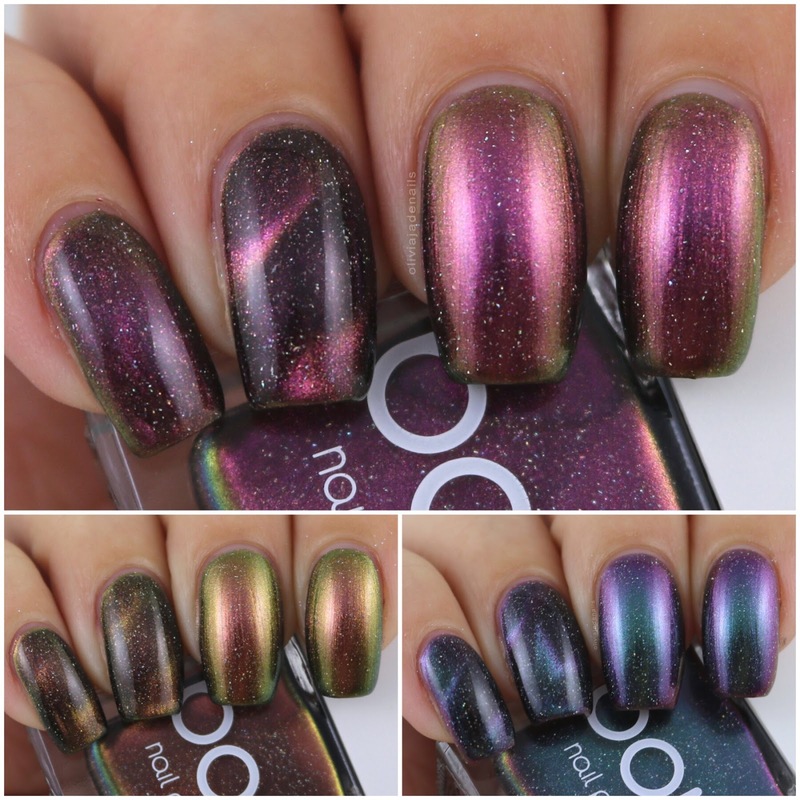 The Bow Magnetic Holo polishes are available from Dance Legend. They also offer international shipping.